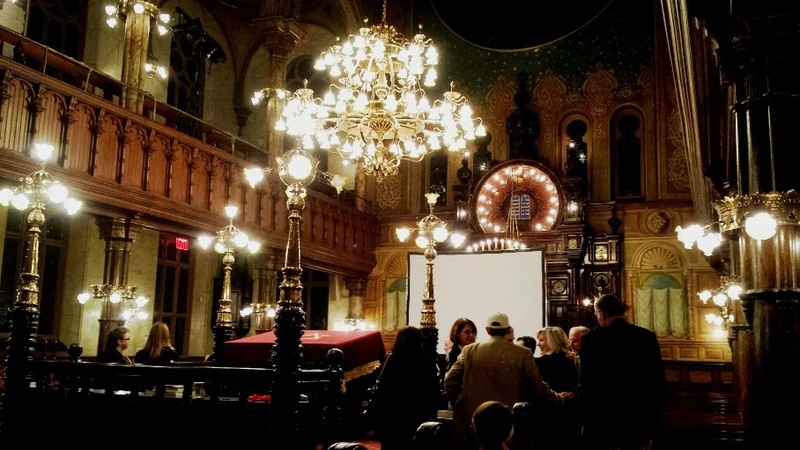 The documentary film, All This Has Come Upon Us had its American premier at the Eldridge Street Synagogue in New York’s Lower East Side. It was the second program produced for Czech television on artist Mark Podwal, focusing on his recent Terezin Ghetto Museum exhibition. Read about it in the Princeton University Graphic Arts Collection blog here. Princeton University has acquired one of Podwal's 60 portfolios, and so has the Bodleian Library in Oxford. 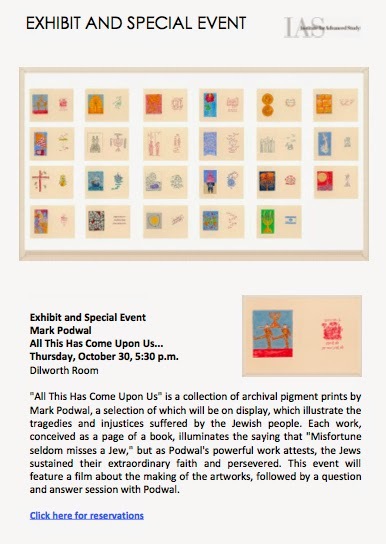 Each work, conceived as a page of a book, illuminates the saying that "Misfortune seldom misses a Jew," but as Podwal's powerful work attests, the Jews sustained their extraordinary faith and persevered. The Institute for Advanced Studies will show a film about the making of the artworks, followed by a question and answer session with Podwal. A screening of this film, accompanied by an exhibit, will take place October 30, 2014 - 5:30pm to 7:00pm.